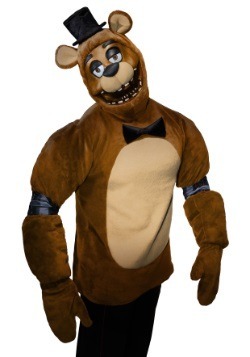 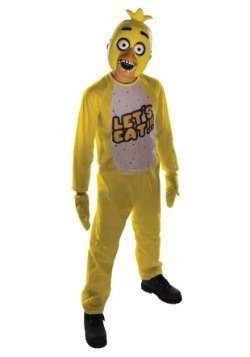 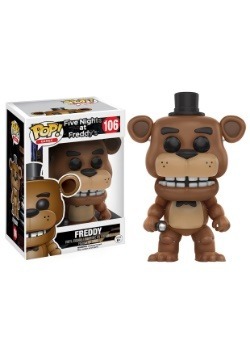 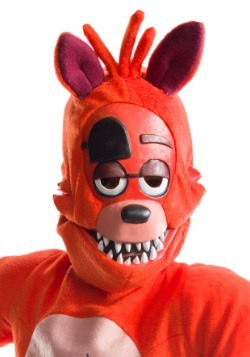 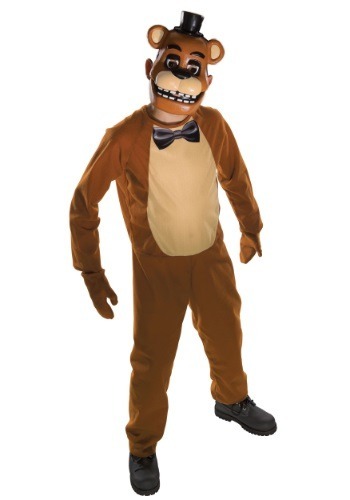 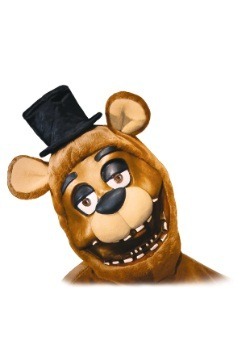 Instead of facing the hostile spirits yourself, just toss your own kid into this most of them all with this officially licensed Child Freddy costume from Five Nights at Freddy’s. 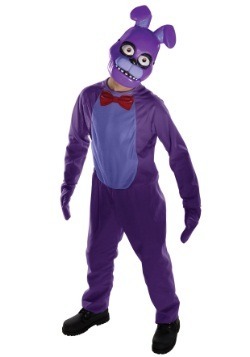 Fear not… this won’t be anything like what happened with the Purple Guy. 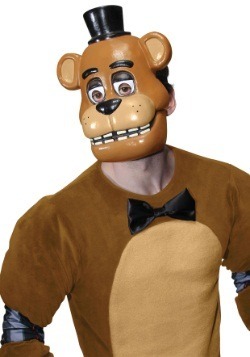 Your tyke just gets to enjoy the look of the haunting bear with this Velcro jumpsuit, elastic banded mitts, and the rigid plastic mask that ‘bears’ the slightly creepy smile of Freddy, himself. 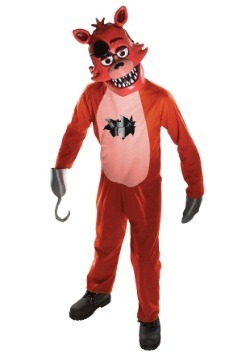 Still, we recommend keeping those flashlights fully charged… just in case.